The Quick Checkweigher ZQ375 is the latest innovation in checkweighing from Avery Weigh-Tronix. Featuring food-grade, stainless steel construction, the ZQ375 Checkweigher is a highly efficient solution for the food industry and beyond. From complete visibility of weighing data and statistics to fast, effective, simple checkweighing, the ZQ375 can help you to maximize performance and profitability while meeting the strictest of legislative requirements. Please see our downloadable PDF for more information on the specifications of the Weigh-Tronix ZQ375 model checkweigher. 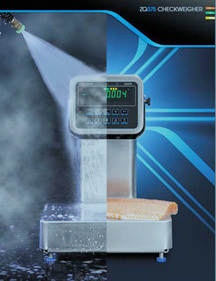 Have questions about our Weigh-Tronix series products? Please contact us today to speak with our expert team.